It was a memorable year for sport in 2018, with the World Cup in Russia, a cricketing controversy and Serena Williams' bizarre outburst grabbing the headlines. 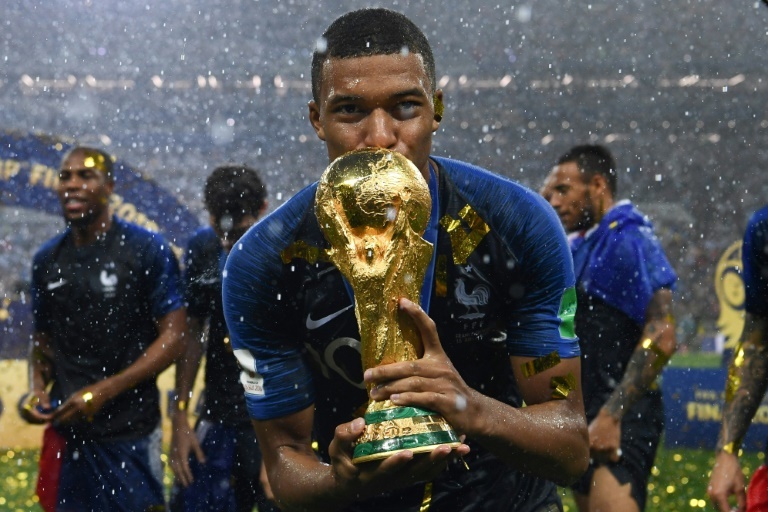 France won the World Cup on July 15 in Moscow, beating Croatia 4-2 in the highest-scoring final for 52 years. Kylian Mbappe, Paul Pogba and Antoine Griezmann all hit the target. 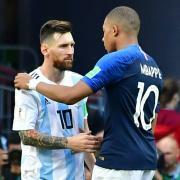 Mbappe was not even born when France claimed the World Cup on home soil in 1998, their only previous win. Welshman Geraint Thomas savoured the sweetest of Tour de France victories on July 29, eclipsing all challengers including Sky teammate Chris Froome, the four-time former winner, in the showcase Champs-Elysees finish to win his maiden Grand Tour title. Jose Mourinho's third-season jinx struck again when he was fired by Manchester United on December 18 after a lengthy slump in fortunes at Old Trafford. He was sacked from his two previous jobs, at Chelsea and Real Madrid, following similar third-season slumps. Serena Williams' bid for a 24th Grand Slam title imploded in a furious tirade against umpire Carlos Ramos in the US Open final on September 8. Williams called him a thief after he docked her a point for two code violations. Her explosion then earned her a game penalty, prompting a further outburst and putting Japan's Naomi Osaka within one game of victory. Osaka went on to win her first Grand Slam 6-2, 6-4. Real Madrid beat Liverpool 3-1 in Kiev on May 26 to win the Champions League for the third time in a row under coach Zinedine Zidane and the 13th in total for the Spanish giants. It proved to be Zidane's last game at the club who were also weakened by the departure of star striker Cristiano Ronaldo to Juventus. Lewis Hamilton dominated the 2018 Formula One season, winning 11 grands prix in a fault-free year and taking his fifth drivers' championship as the challenge from Sebastian Vettel and Ferrari faded in the second half of the year. The 33-year-old Briton, who drives for Mercedes, says he is now ready to compete for a sixth title. Australian cricket was engulfed in a cheating scandal that triggered national soul-searching about sport and fair play. Test captain Steve Smith, vice-captain David Warner and opening batsman Cameron Bancroft were banned, while coach Darren Lehmann resigned after ball-tampering was caught by cameras during the third Test against South Africa in Cape Town. The Winter Olympics in Pyeongchang, South Korea, in February produced a thaw in ties with nuclear-armed North Korea, who sent a team to take part in the Games as well as cheerleaders and the highest-ranking diplomatic delegation ever to venture south of the heavily defended inter-Korean border. Less than one year out from the World Cup, Ireland ended a 100-year wait on November 17, beating world champions New Zealand for the first time on Irish soil. The 16-9 victory marked a memorable end to an outstanding year for the Irish who won 11 out of 12 Tests, claiming the Six Nations Grand Slam, winning their three-Test series against Australia 2-1 and establishing themselves as genuine World Cup contenders in 2019. Ester Ledecka of the Czech Republic sealed the first ski-snowboard double in Olympic history at the Pyeongchang Winter Games. The snowboard world champion and favourite performed brilliantly to win the women's snowboard parallel giant slalom on February 24, a week after stunning the alpine skiing world by capturing gold in the Super-G.